This 702 hectare park and protected area is situated in the Dezaiko Range of the Rocky Mountains, approximately 160 km northeast of Prince George. This park protects the internationally significant Close To The Edge cave, which has the deepest shaft and is the third deepest overall cave (472m) in Canada. The cave was bottomed in 2001. The primary shaft drops 255 m straight down, and its diameter varies considerably (up to 30m). There are also additional, smaller caves in the park. Close To The Edge cave is particularly dangerous because of its depth and vertical shaft. It is suitable only for very experienced cavers. Access requires crossing Hedrick Creek via a hand-operated cable car. Please bring your own drinking water, as potable water is not available in the park. Drinking out of any streams or lakes is not recommended, unless the water has been filtered or treated. There are limited water resources in the eastern half of the park near the cave. This park/protected area is located approximately 160 km northeast of Prince George, which is the closest community, town or city. The Pass Lake Forest Service Road leads to this park, but it is currently blocked at the McGregor River bridge, which is about 20 km from the park. History: The cave was discovered in 1983, but the bottom was not reached until 2001. Conservation: Important habitat for caribou, moose, black and grizzly bears. 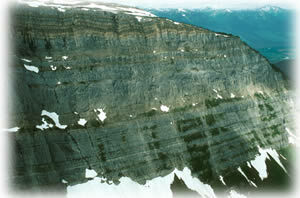 Internationally significant cave features: the deepest shaft and the third deepest cave (472m) overall in Canada; the cave has multiple pitches. There are spelunking opportunities in the various caves in the park. Only experienced spelunkers should attempt these caves. For your own safety and the preservation of the park, obey posted signs and keep to designated trails. Shortcutting trails destroys plant life and soil structure. There is a very rough trail following Hedrick Creek and then a route to Close-To-The-Edge cave location. Hedrick Creek must be crossed via a hand operated cable car.